Visiting Petra and its surrounding Wadi Rum desert is an unforgettable, once-in-a-lifetime experience. Petra, originally known as Ramqu in ancient times, is a historical city located in Jordan’s south western desert. 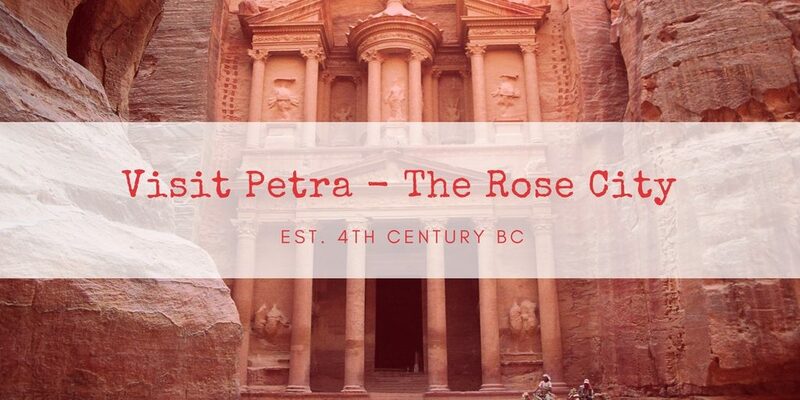 Read on to learn a brief history of this ancient city so that you can make the most of your visit to Petra. Situated in a basin on the slope of the Jabal al-Madhbah mountain, when you visit Petra you’ll be amazed by the vast size of the city, which is almost big enough to entirely cover the UK’s second biggest city, Birmingham! Its rose-coloured, rock cut architecture and water conduit system meant that it was not only a beautiful city to behold but also an extremely viable place to live, especially for somewhere in the middle of the desert. Watered by a perennial stream and surrounded by rocks, Petra is like a natural fortress. The Nabataeans controlled the water supply by creating an artificial oasis that enabled the area to flourish. They even protected themselves against flash floods using dams, cisterns and water conduits. Records suggest that Petra was established in the 4th century BC as the capital of the Nabataean Kingdom and as a major regional trading hub due to its proximity to trade routes. The Nabataeans were very successful in trade and focused their wealth on improving Petra. The success of the city also meant it was a source of envy in other kingdoms, hence the earliest record of Petra is from a jealous Greek dynasty who tried to ransack the city in 312BC but failed as his troops were unaccustomed to the barren desert environment. 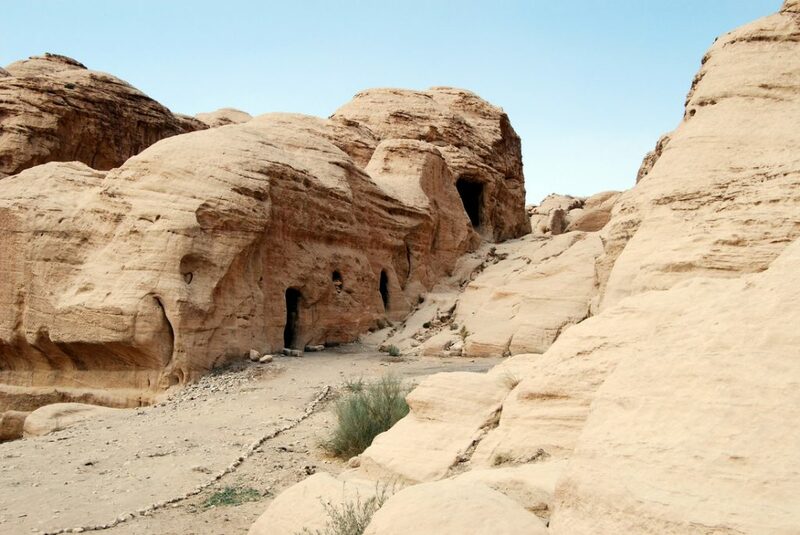 This was much unlike the native Nabataeans who knew how to utilise the desert and mountainous terrain to their advantage – harvesting rainwater, creating agriculture and stone carved buildings. The ancient city flourished until 1st century AD when it peaked at 20,000 inhabitants. This is when its famous Al-Khazneh façade was constructed as you will see when you visit Petra (also in the first image). 363 AD: When sea trade routes emerged Petra’s importance started to decline, especially after a huge earthquake that destroyed many structures across the area in 363 AD. 330-ca.600AD: In the Byzantine era, Christianity reached Petra and there are records of at least one bishop, named Jason. Many Christian churches were built at this time. 629 -632 AD: After the Islamic conquest of 629-632 Petra gave way to Islam. 700 AD: By this time the area was an abandoned place with a few lonely shephards living in caves. 1812: Petra remained unknown to Europeans until swiss explorer Johann Ludwig Burckhardt came across it in 1812. 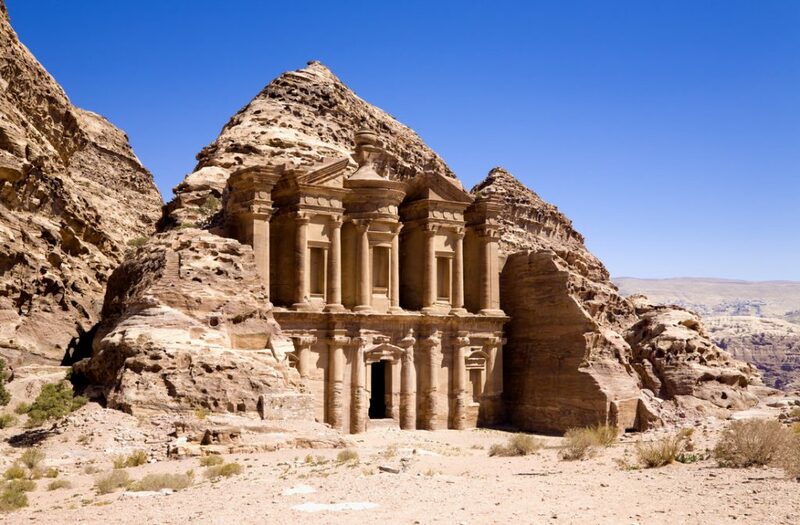 Hence Petra is also known as Jordan’s lost city, lost to the western world for hundreds of years. Upon his visit to Petra, Burckhardt declared it one of the ‘New’ 7 wonders of the world alongside Cambodia’s Angkor Wat, Peru’s Machu Picchu, and the Great Wall of China. 2017: Until 2017 numers had slumped due to conflicts in neigbouring countries and areas, but reached 600,000 tourists in 2017 due to restabilization. This makes 2018 the perfect time to visit before it becomes too popular again! As you walk to the city through the narrow gap between the cliffs, a.k.a the “Siq”, the beautiful façade of the Al-Khazneh, an acient Nabataean mausoleum, will slowly come into view. The Arabic name means Treasury – legend has it that pirates hid their loot there. You might have also seen this building in the 1989 Indiana Jones film, the Last Crusade. The Nabataeans worshipped Arab gods and goddesses in pre-Islamic times. Dushara was the main god and was often associated with the Greek God Zeus. Worshipped alongside him are his three goddesses Al-‘Uzzá, Allat and Manāt. When you visit Petra you will see these figures carved in the rocks and in statues. Research shows that Nabataean religion also took inspiration from the Sun and seasons, i.e. orienting buildings to the equinox and solstice sunrises and sunsets. One of their kings, Obodas I, was deified after his death due to his victories fighting the Greeks and the Hasmoneans. Petra’s largest monument, the monastery, was built to honour Obodas and dates from 1st century BC. Inside Petra you will also visit a Roman Theatre, Royal Tombs and some extremely impressive temples and churches. Arab tradition suggests Petra is the spot where Moses hit the rock with his staff and water flowed forth, and as such the Wadi Musa or “Wadi of Moses” is the name for the narrow valley at the end of which Petra is located. Several scholars propose that Jabal al-Madhbah mountain is the Biblical Mount Sinai, where Moses received the Ten Commandments from God. These mountains form the eastern side of the Arabah valley running from the Dead Sea to the Gulf of Aqaba. The Nabataeans were also known for their finely potted ceramics with floral patterns which became popular amongst the Greco Roman world. Most of the ceramics are rose coloured like the rocks of the city. Although there aren’t many surviving paintings of the time, there are a few fragments which show that they followed the contemporary Hellenistic style with increased use of landscape and nature. 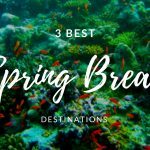 After reading this, do you feel like visiting Petra and Jordan but still want your holiday to be relaxing and rejuvenating? 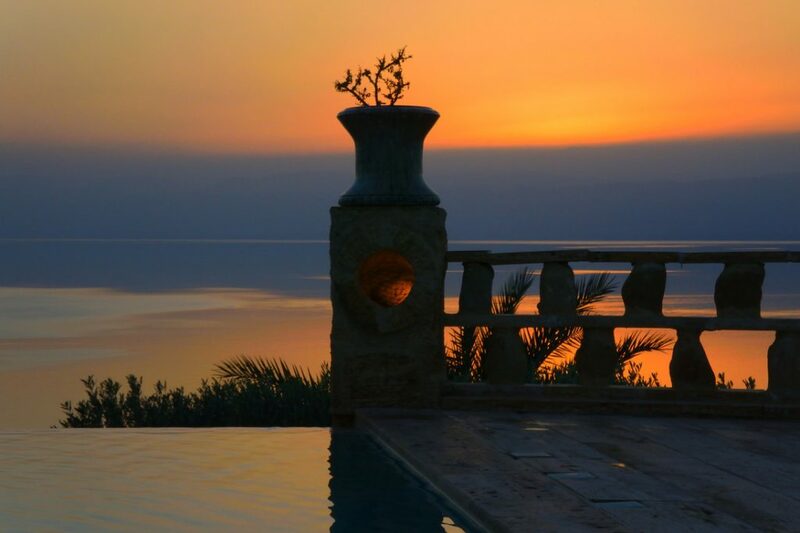 With SpaDreams many of our guests spend two weeks at the edge of the Dead Sea, benefiting from the unique climate and spa treatments, before undertaking a weekend round trip to Petra and Wadi Rum. 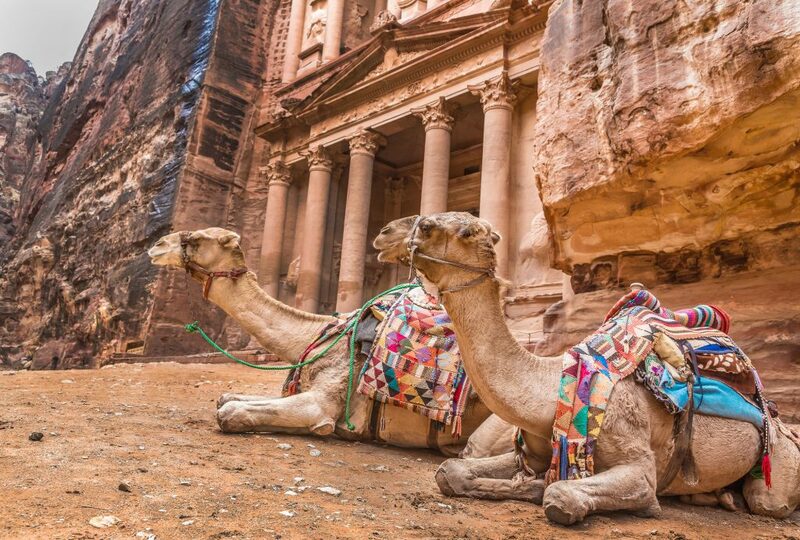 The Petra and Wadi Rum tour is the perfect sized adventure for those wishing to visit these beautiful Petra monuments in total comfort.